Let’s take a moment to enjoy the perfect timing of this photo. 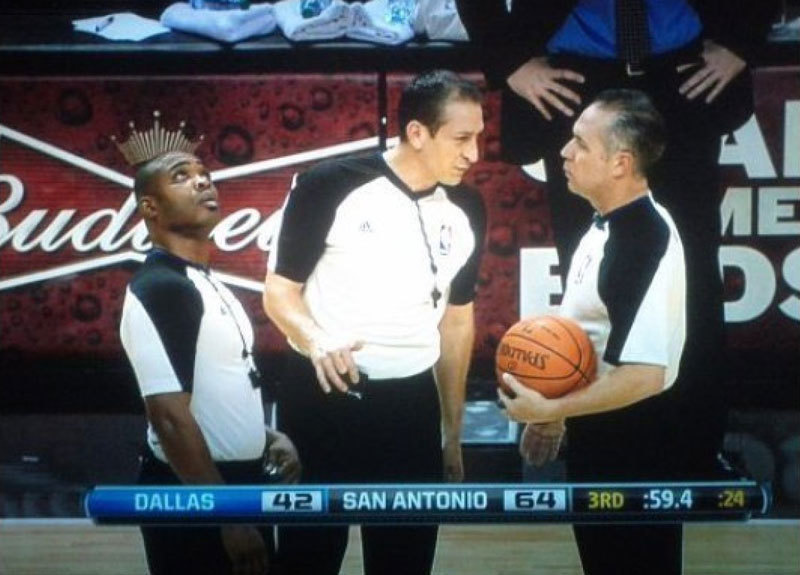 He started the night as a regular basketball referee, but he ended up the King of Beers. And it was all thanks to the magic of a perfectly timed camera shot. You can use the same perfect timing to get the best deal on a used car in Manitoba. You’ll be the King — or Queen — of Cars, as long as you buy you before the new year. You’re probably wondering what the new year has to do with savings on a used car in Manitoba. It isn’t because we’re holding any crazy year-end sales. You know we’re not that type of dealership. It’s actually because of the banks and their wack-a-doodle rules. If you’ve got your eye on a used 2016 Honda Civic, you’re going to get a better loan term in December 2017 than in January 2018. The bank uses the year to determine payoff date and term limits, so your payments will be lower on the same car if you buy it before the end of the year. The payoff amount can be significantly lower buying in 2017 versus 2018 depending on the car you’re interested in and your financial history, but any money saved is well worth buying a few weeks early. Everyone wants the most affordable car, so don’t wait until 2016 and pay more for the same used car you’re eyeballing right now. That would be dumb. Timing is everything, friends, and with the banks weird rules, it’s in your best interest to buy before the ball drops on New Year’s Eve. Start searching our inventory now, so you can find a car, truck or SUV fit for a King.